We have a great group of horses to meet everyone's needs. Our horses have to be Jack of all Trades and must be able to handle more than one job. Pippy was donated to our school by a friend in Kingston, Ontario from Dreamcatcher Farm, Carol Bisaillon. She has become one of the farm favorites. This 10 year old rescue has just joined us. She stands approximately 12 hands is snow white and got a little go. 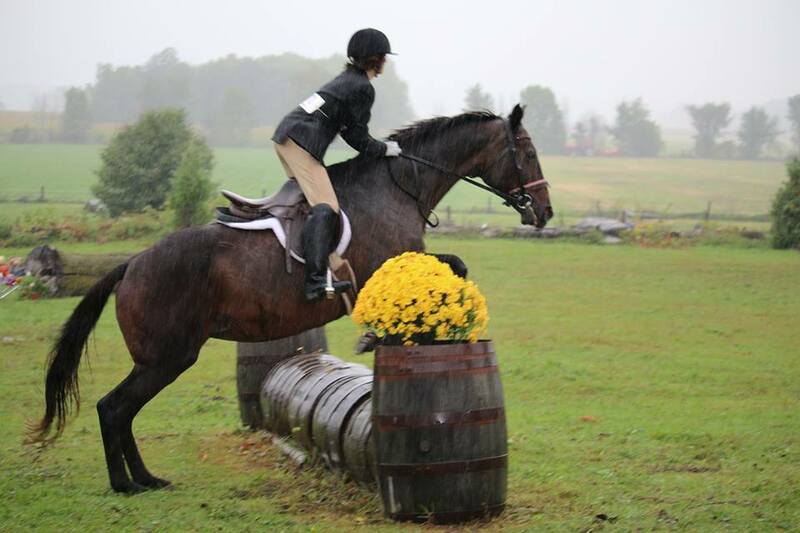 Easy going and honest over fences we are thrilled to have her joing our facility. She is quite the asset. This wonderful large pony takes care of all my little ones and no so little ones. She's a Connemara cross and has been an amazing additon to the family. She even has become a fantastic field hunter. 7yr old 15.2 hand TB mare. She loves to work and is willing to do anything for everyone. We are happy to have her join our school. 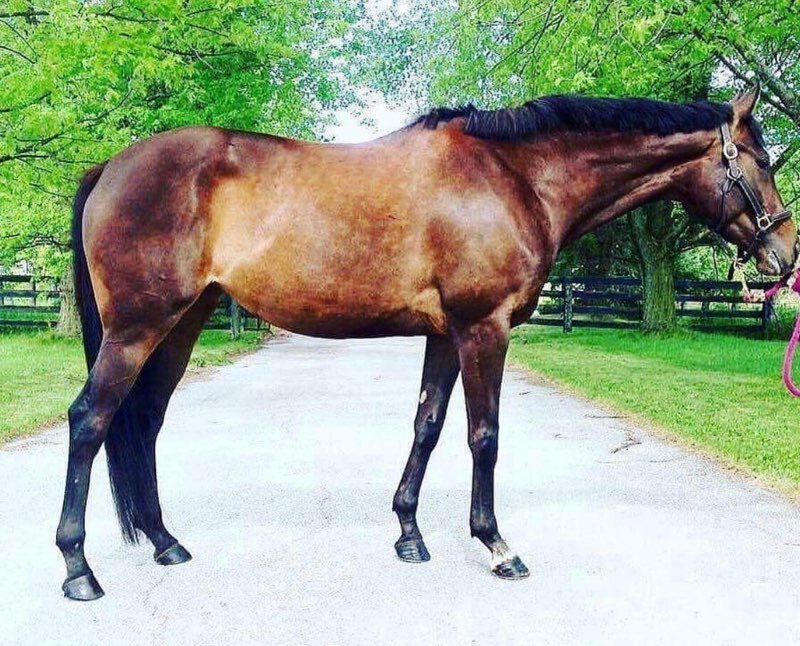 This 6 year old wonderful animal is a full TB from the track. He stands 16 hands chestnut gelding. He is an awesome animal with a disposition second to none. He has been hunting for us since he got here. He is quiet for those who need him to be and a ball of energy and bravery for those who don't. 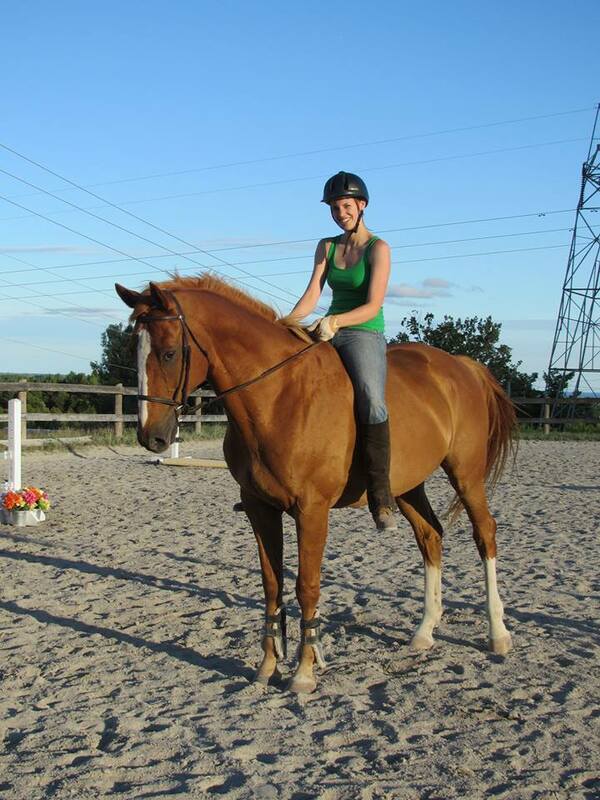 He has been my "Master" horse, my "Field horse", my "rental horse" and my "whip" horse. 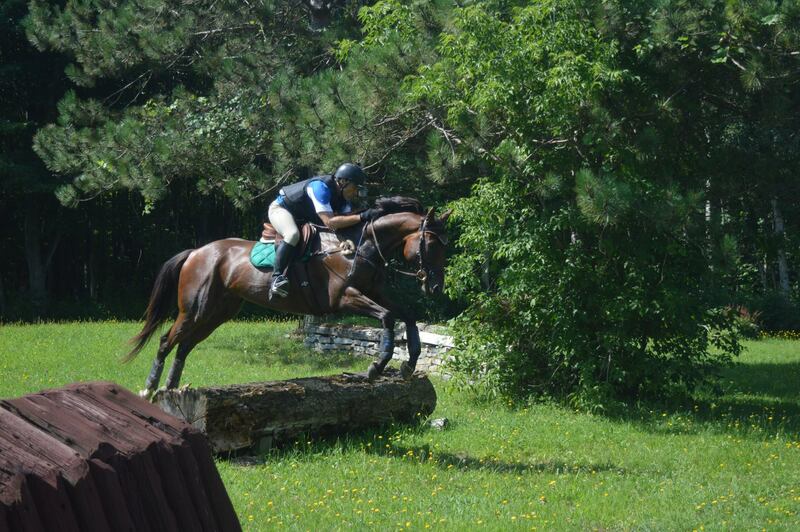 He has been introduced over fences and goes willingly. 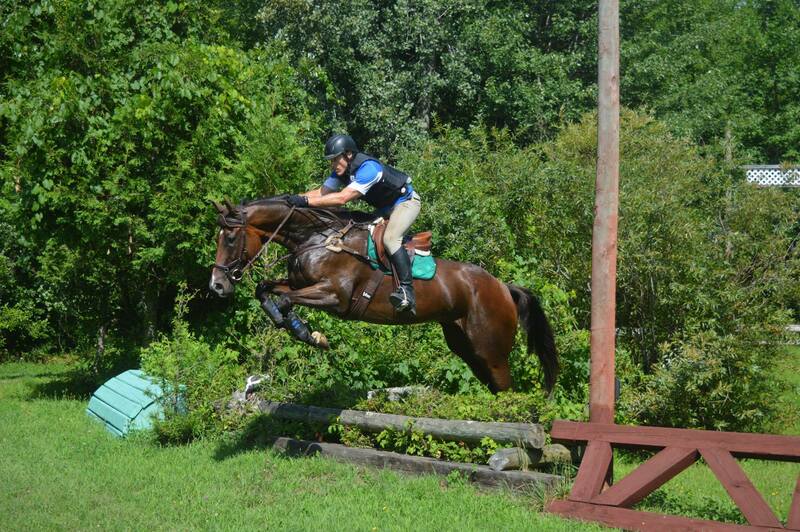 He will start his show career in eventing in 2015. 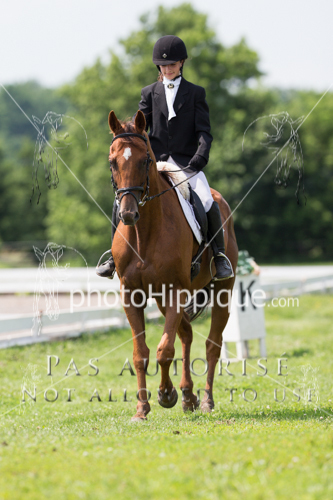 He has done dressage at shows and always places top 5. He has a disposition and deperament which is unequaled. Dargo is by far one of my favorites. Spook is 9 year old large pony. Has evented at pre-training. Available on show by show lease or on property. He stands 14.1 and is safe as a house. He stands 16.2 hands tall. He has a long history. 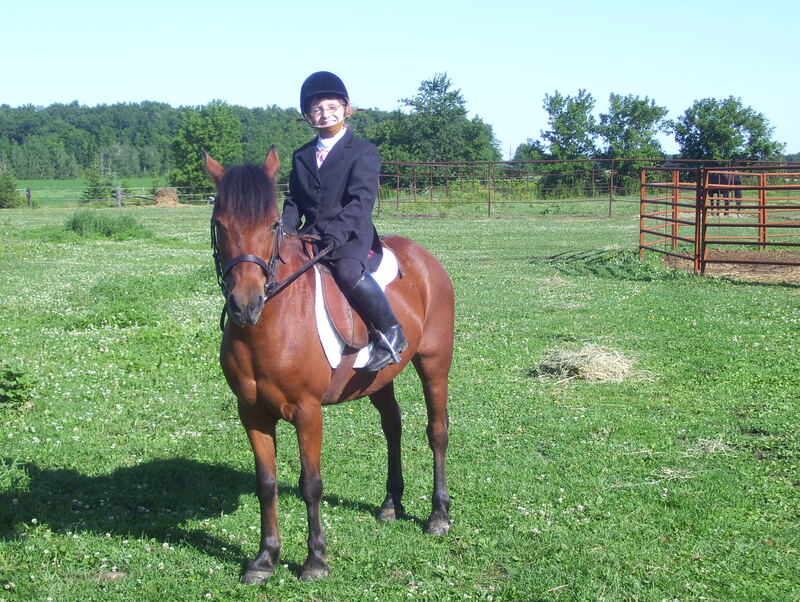 We got him when his owner retired from riding at the age of 80. 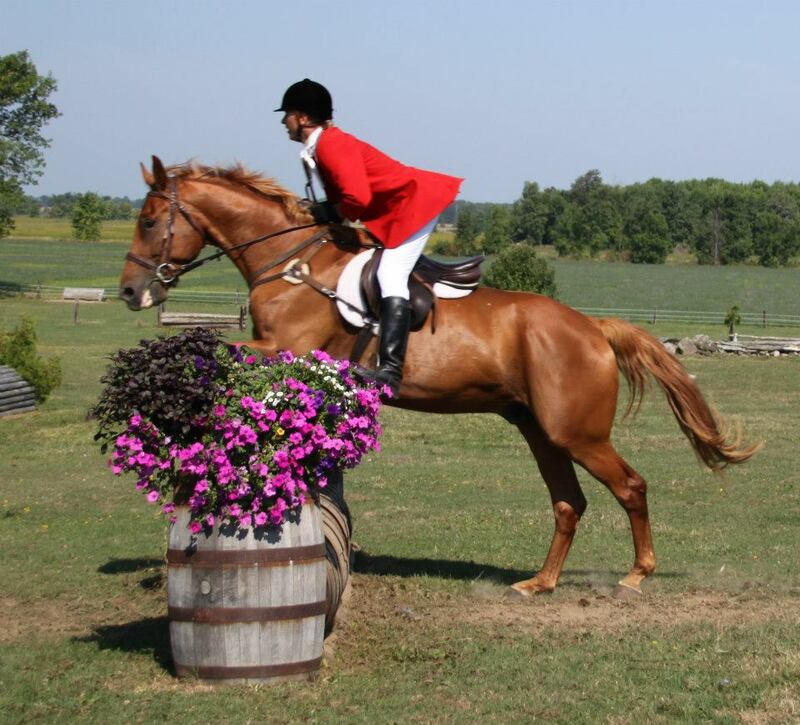 Gambit is an incredible field hunter and awesome all around horse. 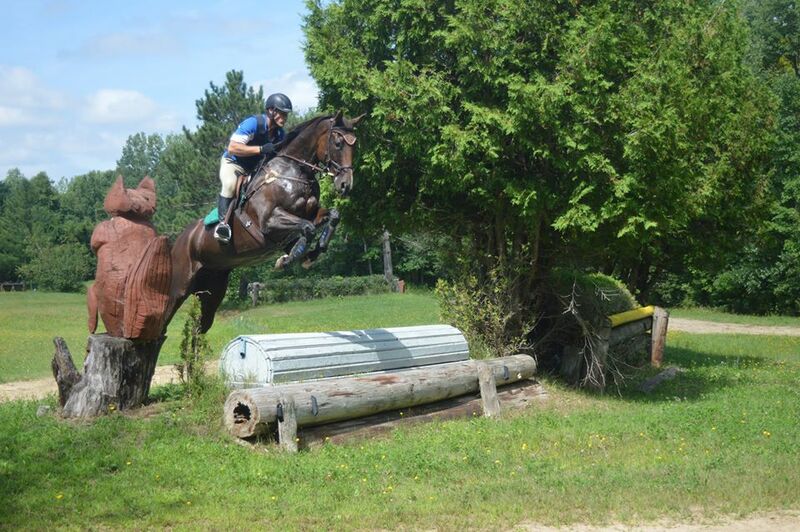 He events, dressages and even can do the hunter / jumpers. He takes care of all who ride him. He is an incredible addition to the farm. This gentle giant is one of my favorites. He's by our TB stallion Torque Flight and out of Laura Ashley (TB/Westfallie/Percheron). This boy has been used as a whips horse, field horse and he's a kind and willing to work. We used him more often for men only because he stands 17.2 hands tall and most women find that a wee tad tall. This wonderful half arab half appy was an OOPS. 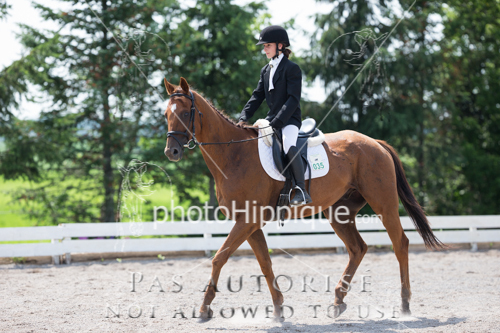 He is a wonderful 12.3 hand appy pony. He's learning his job but is proving that he plans on staying here for a long time. 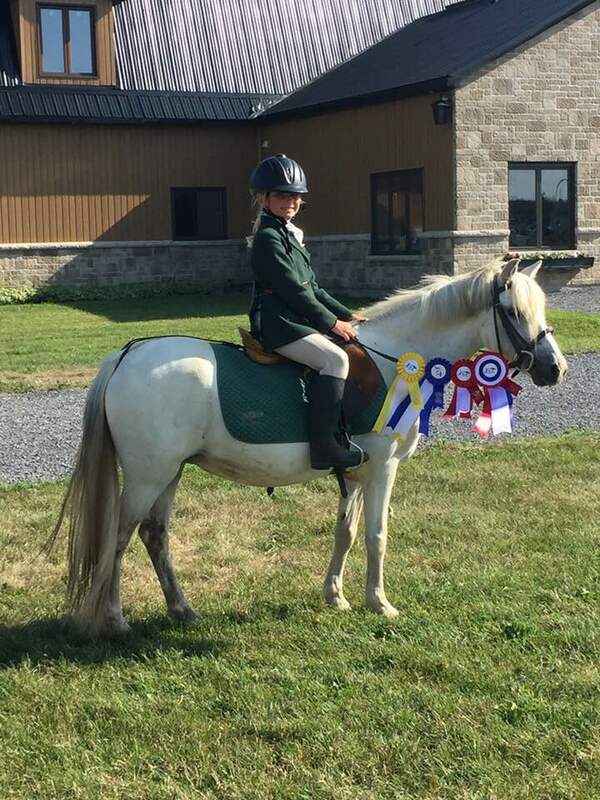 A 14.2 hand Haflinger mare. 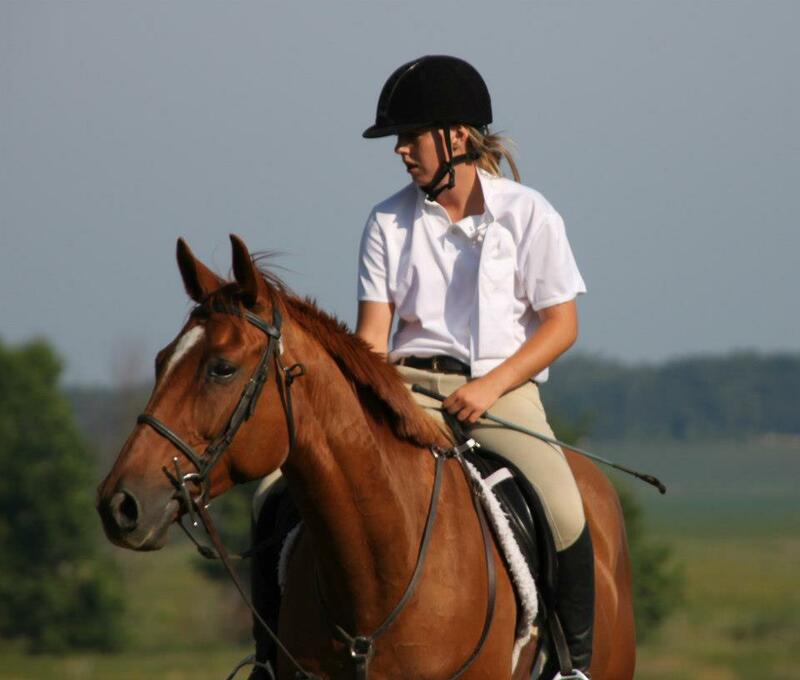 She is honest over fences but isn't an easy ride so she's great at teaching my little ones to ride. Is a recently added to our school .. She will be for more advance little ones as she is still green. 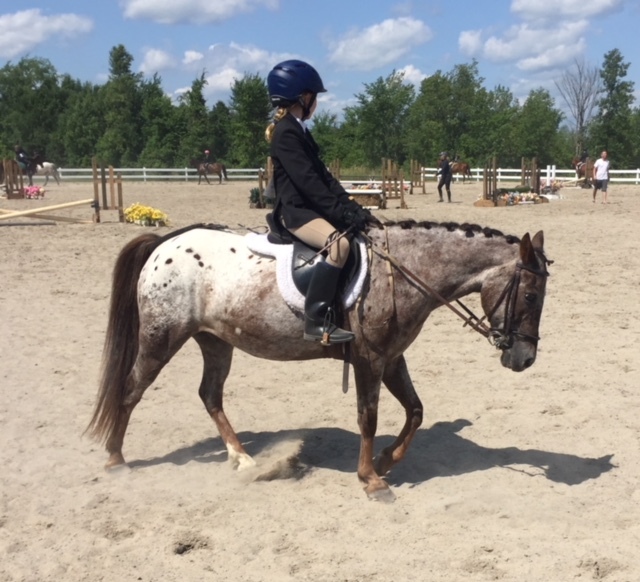 Mimi is a 12.3 hand welsh pony mare. She has just joined us. 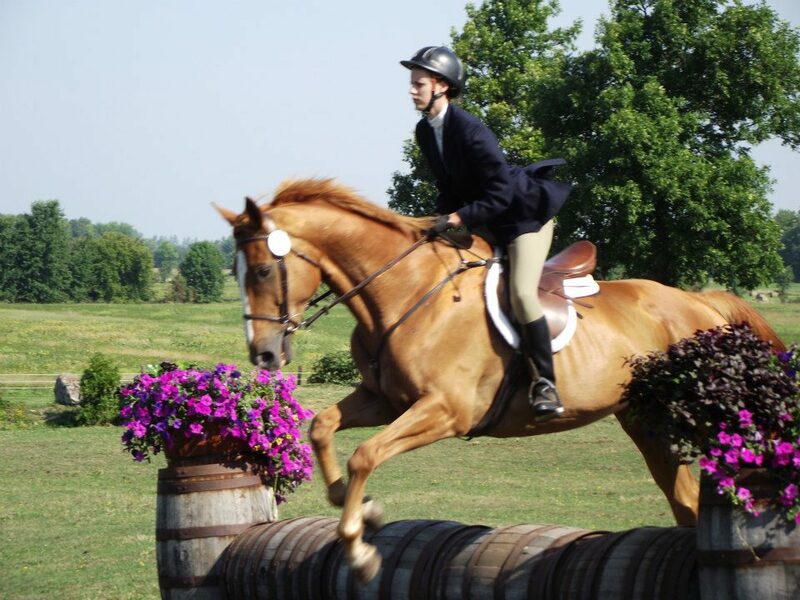 She has been a whip horse and will now start as a school and eventer. She was purchased also to have as a broodmare to breed to one of my two JC pinto stallions. Willy is new addition to our farm . He has been a whip horse and will take care of my little ones during show season and then taking care of my field hunters during hunt season. 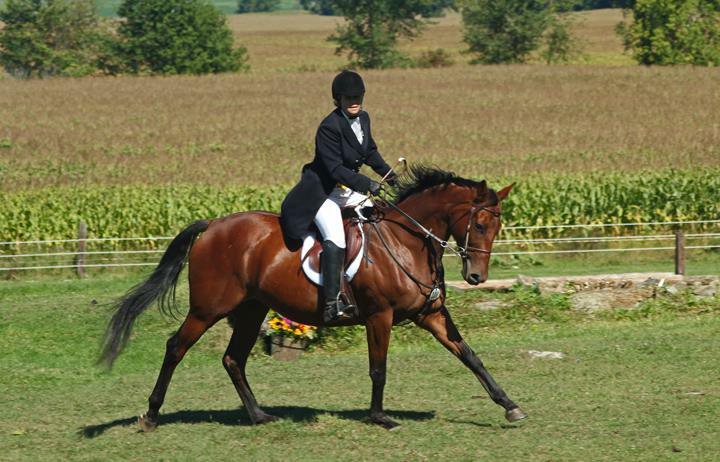 This Trakhener mare stands 16.1 and was generously donated to the farm 2 years ago from our Hunt Master. He has a young horse and decided to let us use Chloe. This lady loves the school. I can trust her with anyone and everyone. If you want to learn how to do a course, Chloe is the one. Yet she still remains one of our most trusted field hunters also. Picture taken at 30 years of age!. This Tri has been with us since he was 2 and a stallion. We gelded him and he has never ever let me down. He is one of our best. Cruiser will carry all my beginners around without making a mistake and then when you can ride a little he gives you a little bit of a tough time making sure to keep you on your toes. 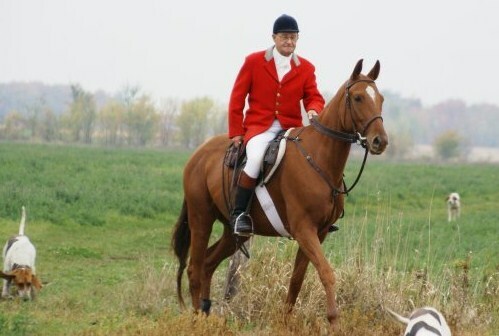 He can jump the moon and he is the trusted friend to all who want to hunt for the first time or the 200 time. He has been to Toronto and Virginia so many times he probably could drive the truck. 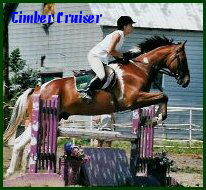 Cruiser is also on of the horse we choose for those people with special needs. Nutmeg has lost her site entirely. Is a cute 12'3 hand hackney cross pony. This young lady take great care of all my little ones. 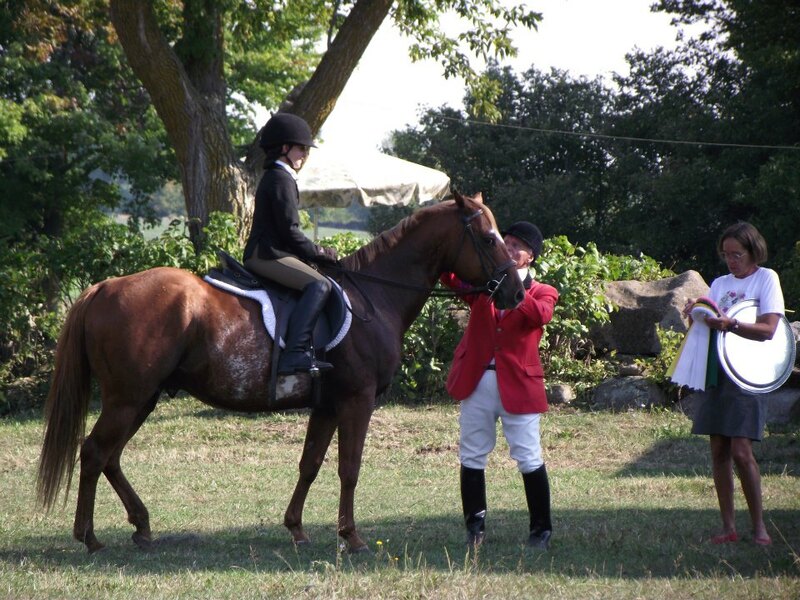 She has started all the kids, she still shows in the dressage shows and events and when hunting season comes around, you'll find Nutmeg in the crowd of field hunters. Nutty has lost all her teeth and the use of one eye. She has been an asset to this family and she is getting a well deserved retirement.